What does Faouzi mean, details, origin, short & easy attributes? The meaning of name Faouzi and origin Arabic. The meaning of name Faouzi, origin of name Faouzi , baby name Faouzi. Faouzi is baby boy name mainly popular in Muslim religion and its main origin is Arabic. Faouzi name meanings is Success. People search this name as Faouzi. Faouzi is written in Urdu, Hindi, Arabic, Bangla as فوزی, फ़ौज़ी, فوزي, ফৌজি. Other similar sounding names can be Faoz. Each letter meanings in Faouzi Name. Popular personalities with Faouzi Name. Faouzi Ghoulam is a soccer player for the S.S.C. Napoli, AS Saint-Etienne, France national under-21 football team, and Algeria national football team. Faouzi was born on February 1st, 1991 in Saint-Priest-en-Jarez, France. Zifou is a musician. He plays Vocals. He was most prominent from 2011 to present. Zifou was given the name Faouzi Kojmane on July 20th, 1992 in Sedan, Ardennes. Zifou is also known as Kojmane and Faouzi. Faouzi Chaouchi is a soccer player for the JS Bordj Menaiel, JS Kabylie, ES Setif, MC Alger, and Algeria national football team. 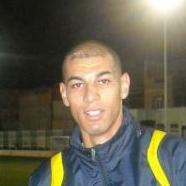 Faouzi was born on December 5th, 1984 in Bordj Menaiel, Algeria. 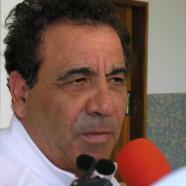 Faouzi Benzarti is an athlete for the Etoile Sportive du Sahel and US Monastir. Faouzi was born on January 3rd, 1950 in Monastir, Tunisia. Faouzi Bensaidi is a film director, actor, and screenwriter. He has had major accomplishments since 1997. Faouzi was born on March 14th, 1967 in Meknes. Abdelghani Faouzi is a soccer player for the IR Tanger, Wydad Casablanca, JS Massira, Vitoria S.C., Ittihad FC, Al-Khor Sports Club, and Moghreb Tetouan. Abdelghani was born on July 13th, 1985 in El Kelaa des Sraghna. 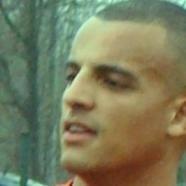 Mohammed Faouzi is a soccer player for the VV Noordwijk, S.B.V. Excelsior, FC Utrecht, and IJsselmeervogels. Mohammed was born on September 3rd, 1987 in Gouda, South Holland.